The 5th UNIST Big Data Analysis Competition has been held at UNIST Business Admin. Bldg. from August 10 to 12, 2016. 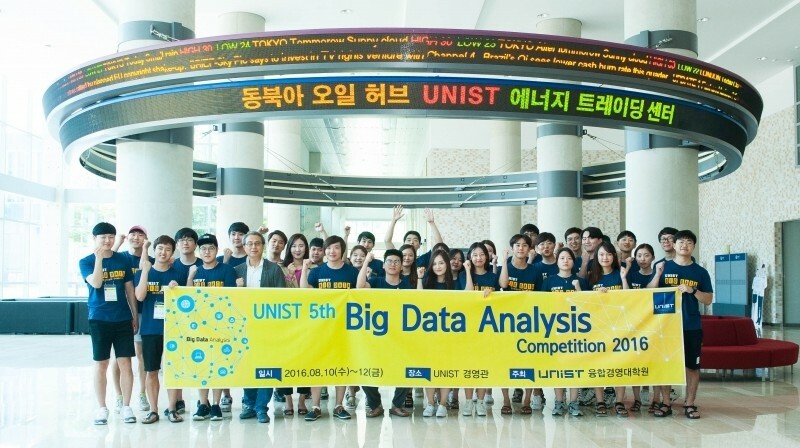 The 5th UNIST Big Data Analysis Competition, held from August 10 to 12, 2016. 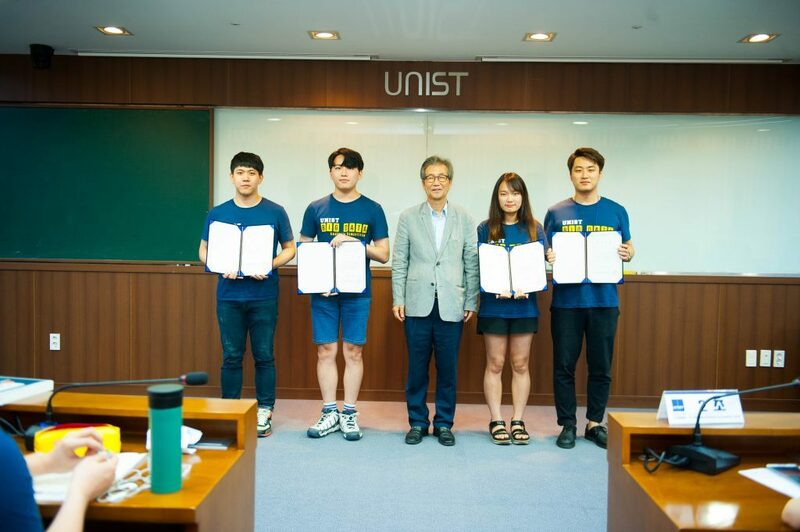 On Wednesday, August 10, UNIST held the 5th UNIST Big Data Analysis Competition, inviting university students nationwide who are interested in Big Data. Organized by the Graduate School of Interdisciplinary Management, the primary purpose of this competition introduces the importance of the analysis of data and offers an opportunity of indirect experience of data analyzing. Beginning with the first competition in 2012, every year students across the country take part in the competition. Participants learn how to analyze the big data then, apply it to the challenges, and they develop the skill to solve the problem. For this year’s event, a total of 90 undergraduate students from 45 different universities have applied and only 32 students have been selected to partake in the competition. These students were, then, grouped into teams of 4 for a group project. Awardees of this year’s grand prize are posing for a portrait. The projects have been grouped under 3 different themes: “Forecasting IoT Technology Demand and Supply”, “Predicting the Danger of Smoking”, and “Analysis on Trends of Awareness of Unification”. The competition proceeds in the following manner. Each team, consisting of 4 undergraduates from different majors and schools, selects one theme, analyze the data, then presents their completed projects. 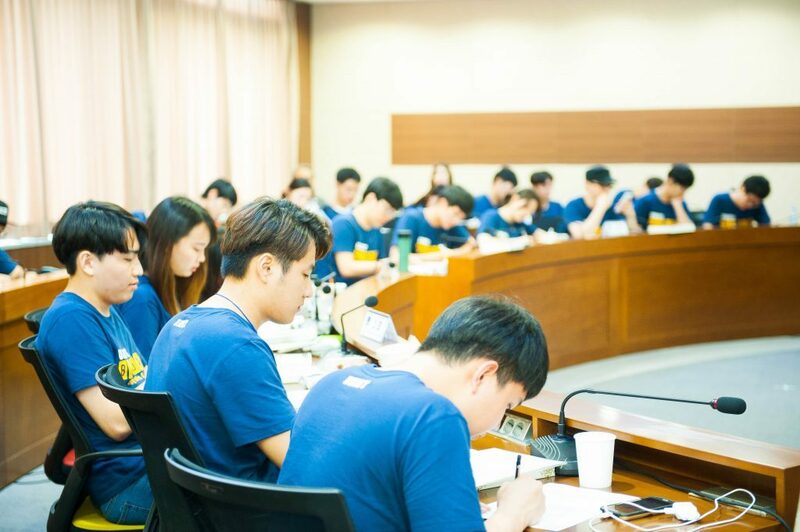 This year’s grand prizes have been awarded to the following four teams, Soon-Phil Lee (UNIST), Yu-Bin Lee (POSTECH), Do-Yeon Kang (Korea University), and Jae-Won Soh (Chung-Ang University). These teams presented on “Forcasting IoT technology Demand and Supply”, using social media data. Participants are learning about how to use big data analytics tools at UNIST. The competition also featured special lectures on “Social Network Big Data Processing Techniques” and “IoT Big Data “A Personalized Marketing Approach with the IoT”. 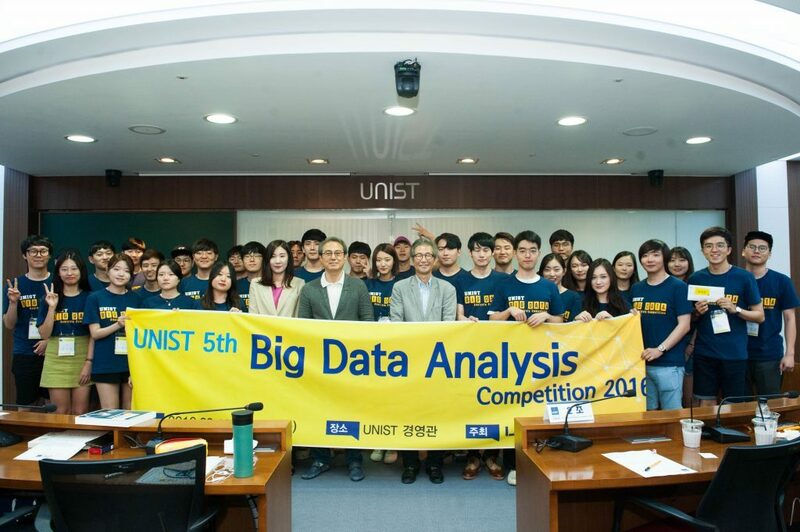 Participants from the 5th UNIST Big Data Analysis Competition are posing for a group photo. The Graduate School of Technology & Innovation Management at UNIST is committed to cultivate competent leaders with a global perspective and an innovative capability to excel in the theory and practice of both business and technology management. This graduate program offers the Professional Science Master’s (PSM) program in Business Analytics and the Advanced Professional Science Master’s program for corporate practitioners.